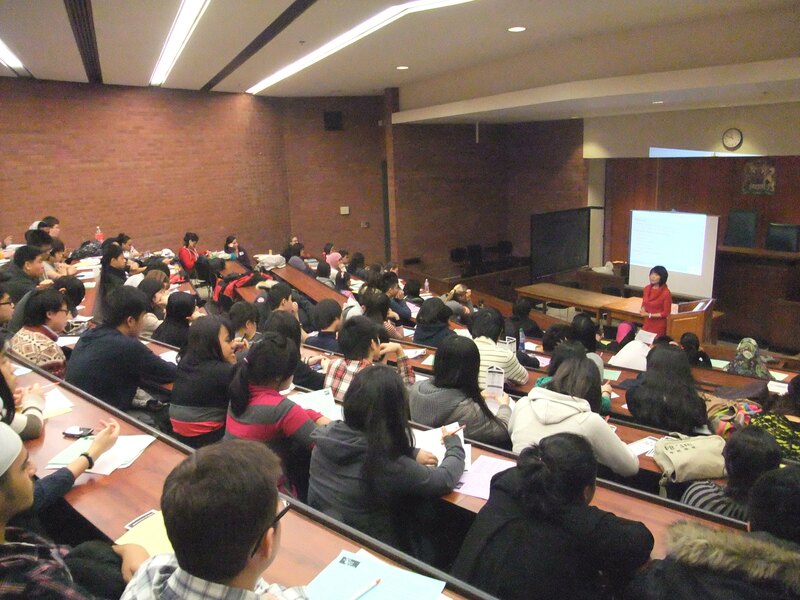 On March 2, 2012 LAWS was pleased to host the Newcomer Youth Conference at the University of Toronto Faculty of Law. The LAWS Newcomer Youth Conference is designed for youth currently studying at the ESL E level in LAWS partner high schools. The day-long conference asked students to think critically about human rights and social justice, both in Canada and abroad, and exposed them to new educational and career paths. The students were given the opportunity to hear from a career panel of justice sector professional, who were able to relate their own newcomer experiences. One student noted, "I think it was very helpful to hear their story and their experience in law school.” The students were also able to discuss legal topics in small group workshops. Topics included Canada's Aboriginal People and the Law, Altenrative Dispute Resolution, and Changes to Canada's Immigration Policies. The keynote speakers were Associate Chief Justice Peter Griffiths and Justice of the Peace Sisay Woldemichael. Referring to the engaging and powerful keynote addresses, one student stated, “It was really nice to meet the experts and the judges."